Dzogchen, the Great Perfection, is the highest meditative practice of the Nyingma School of Tibetan Buddhism. Approaching the Great Perfection looks at a seminal figure of this lineage, Jigme Lingpa, an eighteenth-century scholar and meditation master whose cycle of teachings, the Longchen Nyingtig, has been handed down through generations as a complete path to enlightenment. Ten of Jigme Lingpa's texts are presented here, along with extensive analysis by van Schaik of a core tension within Buddhism: Does enlightenment develop gradually, or does it come all at once? Though these two positions are often portrayed by modern scholars as entrenched polemical views, van Schaik explains that both tendencies are present within each of the Tibetan Buddhist schools. He demonstrates how Jigme Lingpa is a great illustration of this balancing act, using the rhetoric of both sides to propel his students along the path of the Great Perfection. Sam van Schaik received his PhD in Tibetan Buddhist Literature from the University of Manchester, England. He currently works at the British Library's international Dunhuang Project in London, researching early Tibetan manuscripts, and is the author of Tibet: A History (Yale 2011). "Works by one of the most celebrated figures of the Nyingma school, Jigme Lingpa, are the subject of a thorough analysis by Sam van Schaik in Approaching the Great Perfection. An important work for its breadth and attention to detail, it contains translations of ten texts from the widely practiced treasure cycle called the Longchen Nyingtig, as well as a survey of Nyingma history and Jigme Lingpa's corpus. It also includes a sustained examination of the tensions between simultaneous and gradual approaches to realization as reconciled in the combination of revelatory and ordinary writings found in the Longchen Nyingtig. Van Schaik's lucid explanation of the issues and technical vocabulary in the 'seminal heart', or nyingtig, teachings provide the reader with an essential framework for tackling the extensive primary source material found in this work." "A clear and methodical study of Jigme Lingpa's Treasure and Great Perfection teachings. The book serves also as a lucid introduction to Nyingma philosophy and practice, as well their relation to other trends in Buddhist thought and meditation." "A stimulating contribution to the study of simultaneist and gradualist approaches in Buddhism by way of important new translations and lucid commentary. His insights into the philosophical content of Tibetan tantric literature, as well as into the boundaries between revelation and composition, illuminate the most significant tantric cycle in the Nyingma tradition of the last three centuries." 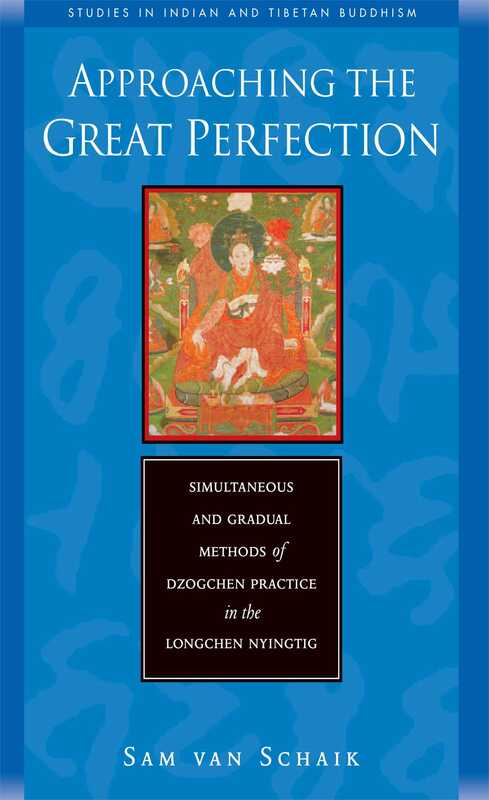 "Translated here are all but one of the texts comprising the Dzogchen Longchen Nyingtig cycle composed by or revealed to Jigme Lingpa, in his time (the late 18th century) the most authoritative commentator on these practices since Longchenpa, and very firmly in the latter's distinctive Seminal Heart tradition. More than just a critical edition of these fascinating and definitive texts, van Schaik's introduction and analysis are quite substantive, teasing out the deep hermeneutical tensions in these works and by extension, the Great Perfection literature as a whole while highlighting Lingpa's skillful strategies for balancing the language of immanence found in the treasure texts with his overarching concern to portray enlightenment as a gradual process. Spanning dazzlingly poetry and partisan apologetics, this book presents a wealth of information on treasure texts, the relationship between the Dzogchen, Tantra, and the highest teachings of other Tibetan lineages, and the challenges of integrating the immediacy of experience with established philosophical tradition. Both Lingpa and van Schaik are to be credited with formidable accomplishments, impressive in scope and depth."